This is light tasty cuisine with no pretensions to haute anything. There is the occasional nod to European roots like the rich duck liver pâté with guava jelly and Melba toast, and the wild mushrooms which are pan fried with garlic and thyme with toast topped with melted Gruyère cheese and fragrant truffle oil. Another delicious starter is the baked green figs with Parma ham and gorgonzola—intensely rich. The knockout main is the roast duckling with Van Der Hum sauce and caramelised orange, while the superb beef fillet with cracked black pepper and brandy cream topped with grilled mushroom runs a very close second. Norwegian salmon with Teppanyaki sauce and avocado is a long-time favourite. The crème brûlée with an almond tuile is just about the creamiest thing in this neck of the woods, something a French bistro would be proud of. Only the wines of the estate—which are marked up. No BYO. Smiling and friendly—and knowledgeable to boot. 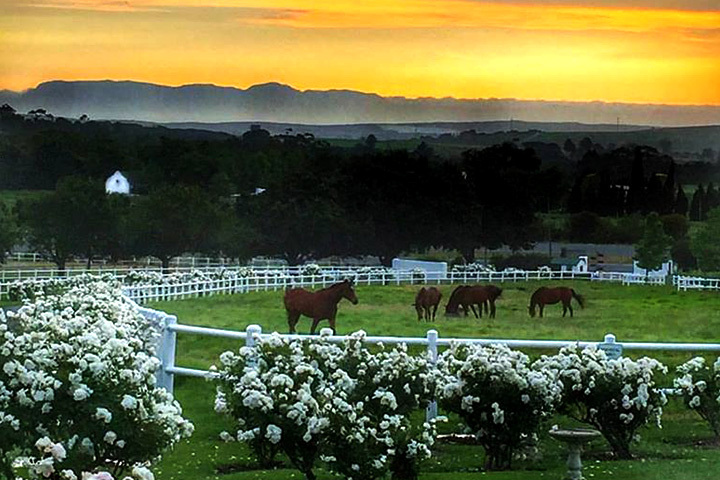 If eating on a terrace overlooking the winelands all the way to Table Mountain with racing horses grazing gently in the fields before you appeals, then this is the place for you to be. Just elegant enough not to be precious. . Sitting inside when the weather is either too hot or too cold is quietly comfortable with an outside mural to remind you what you are missing. This is light tasty cuisine with no pretensions of haute anything. There’s the occasional nod to European roots, like the rich duck liver pâté with guava jelly and Melba toast, and the wild mushrooms pan-fried with garlic and thyme. It goes on toast and is topped with melted Gruyère cheese and fragrant truffle oil. Another delicious starter is the baked green figs with Parma ham and gorgonzola—intensely rich. The knockout main is the roast duckling with Van Der Hum sauce and caramelised orange, while the superb beef fillet with cracked black pepper and brandy cream topped with grilled mushroom runs a very close second. Norwegian salmon with Teppanyaki sauce and avocado is a long-time favourite. The crème brûlée with almond tuile is just about the creamiest thing in this neck of the woods, something a French bistro would be proud of. Smiling, friendly and knowledgeable to boot. 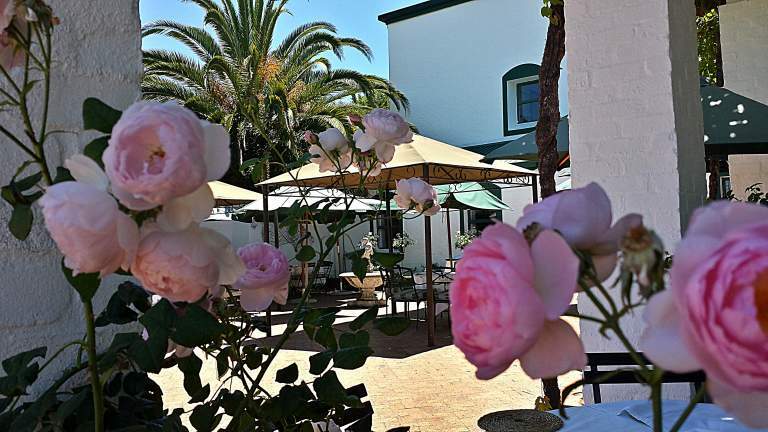 If eating on a terrace overlooking the Winelands all the way to Table Mountain with horses grazing gently in the fields before you appeals, then this is the place for you. It’s just elegant enough not to be precious. Sitting inside when the weather is either too hot or too cold is quietly comfortable, with an outside mural to remind you what you’re missing. Take your camera — the place has spectacular views galore, enough to make any overseas visitor get here in a hurry. This is country fare at its best, with generously plated dishes that look great and taste even better. None of that precious so-called haute stuff — everything here is as fresh as can be, with high flavour impact and reasonable prices. Breakfasts are very popular with locals, with dishes like griddle cakes with Franschhoek salmon trout taking pride of place, and a Mediterranean option with spanakopita and basil pesto a quirky idea. Lunch sees great platters like the irresistible Var with smoked ham, springbok carpaccio and excellent duck liver paté accompanied by Avontuur’s fabulous homemade bread. Another platter, the Oratorio, has smoked salmon, snoek paté, grilled prawns and potato salad with a delicious dressing. Mains include great roast duck with Van Der Hum sauce and Kassler chops with grappa honey apples and whole grain mustard. The beef fillet is done well and comes with a creamy mushroom sauce. The knockout dessert is deep-fried ice cream with butterscotch sauce. 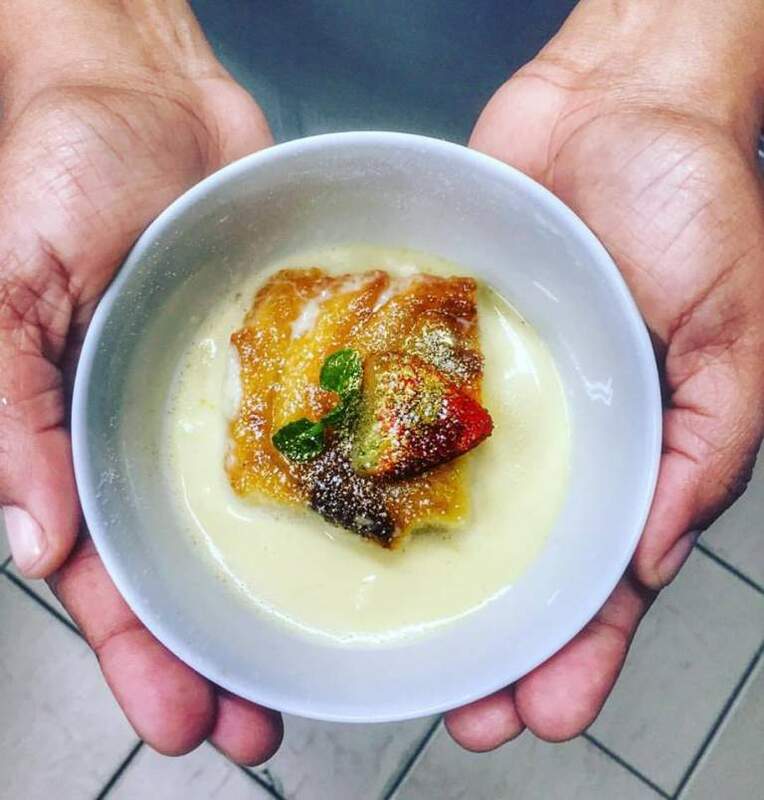 Other options include white chocolate panna cotta with fresh fruit, toasted coconut and strawberry sauce, and a dark chocolate ganache slice with brandied maraschino cherries and hand-crafted vanilla bean ice cream. Only Avontuur wines are available, at a mark-up from tasting room prices. No BYO. Horses graze tranquilly in the meadows with their foals lying lazily on the verdant grasses and the mountains form a majestic backdrop while the view stretches all the way to the sea. What’s not to like? This is comfortable country ambience, with a terrace from which to take it all in. Everyone is delightfully charming and the expert staff are consistently knowledgeable. Bookings are absolutely essential on the weekends. Overall the restaurant has far exceeded expectations on every visit. The food is great and the portions more than generous. The friendly staff makes you feel at home, and the setting is beautiful. The ABC (Avontuur Business Club) meeting I attended this morning was very inspiring and is a great place to network and to meet interesting people from the area. 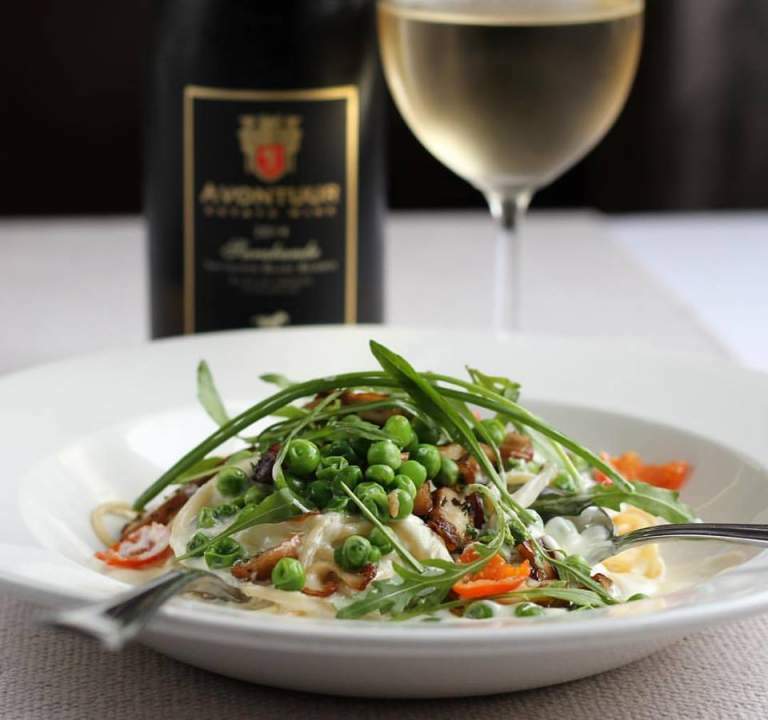 I can definitely recommend Avontuur Estate Restaurant and will go back there very soon. We visited Avontuur restaurant in February while visiting SA from Norway. We are old timers here, having lived locally 4 years ago, it was our favourite spot. We were so happy to see that the food is still excellent and the service still impeccable yet informal and warm. This place is definitely worth a visit if you enjoy freshly prepared great food including fabulous desserts, lovely views of table mountain, wonderful service and lovely wine. Perfect. It was a magical experience. The food looked as good as it tasted. Absolute artworks. The service was friendly and very efficient. Had sundowners outside with a beautiful view of Tablemoun before we went in to our table. All in all a wonderful experience. Definitely will go and eat out again at Avontuur. Outstanding setting,service and food of extremely high quality. Thank you for making our graduation celebration!! I was so impressed with my experience at avontuur. I am vegan and eating out is always so hard. Most of the the restaurants and waiters don't even know what vegan is,but when I requested vegan options the chef herself Zunie came out and told me what she will make for me...i was blown away. I didn't just get a few things thrown together I got the most amazing meal aaand desert yay! The staff were helpful and accomadating. Loved it there!! My husband & I return to this restaurant again and again whenever we travel to the Stellenbosch area. 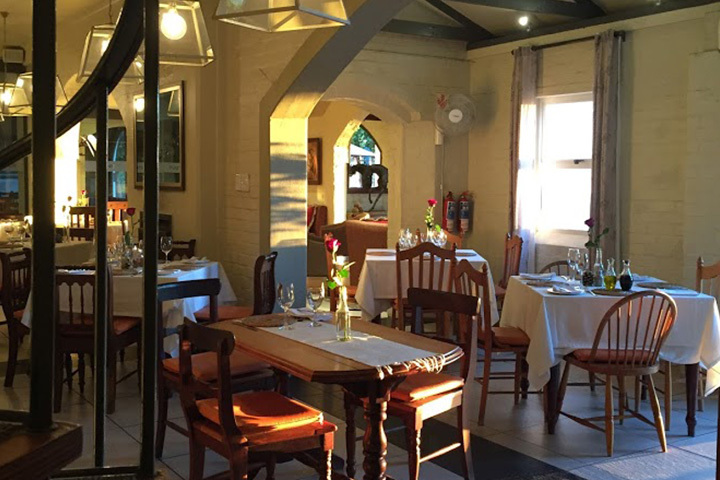 We had the opportunity to dine here twice during our recent stay in Somerset West. We chose something different both times and Avontuur ‘wowed’ us both times. 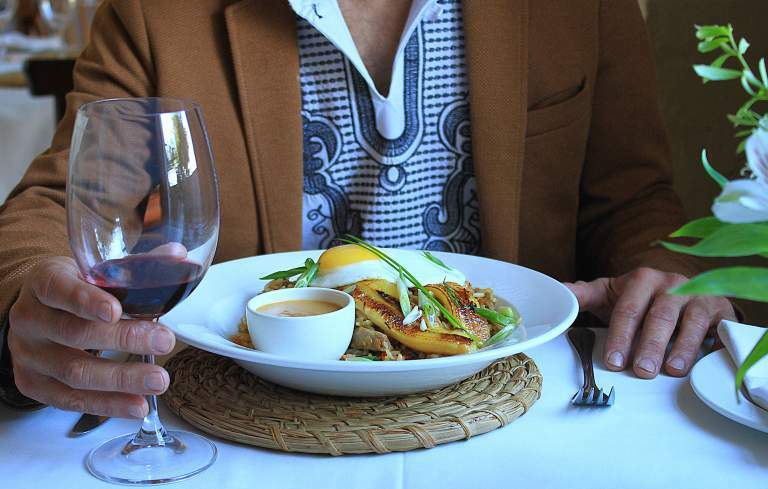 We will continue to return to Avontuur Estate Restaurant because we can count on tremendous food, service and views! This restaurant is AMAZING. The atmosphere and service is ALWAYS up to scratch and the food is IMPECCABLE. We were there last night and once again walked away being more than just satisfied. The DUCK dish is a must-have! Definitely a restaurant you can’t afford to miss out on. What more can you ask for? Cosy and warm atmosphere, beautiful view, great service and amazing food! 19 October 2017, 1.00pm This is by far one of the BEST restaurants in the Cape. Zunia and Mel's food is consistent and one never has a disappointing meal. I went for lunch on the 19th October with two of my friends and we had the most superb meal, the menu offers a great variety and the portions are so good.My husband and I have been frequent visitors to this restaurant over many years and it is by far an outstanding restaurant. The service is superb and one is always made to feel welcome. We enjoy their wines which are so reasonably priced for their high quality. Well done Mel and Zunia you never let us down! Pippa Parrington, Somerset West. We decided to have a small family reunion and Avontuur Estate was the place of choice. Loved everything from the moment we arrived - we were greeted by a beautiful setting with horses in the paddocks and were seated by friendly and attentive staff. The menu has a great selection and so does the Daily Specials black board - do take a look at this! I was lucky enough to discover the hake and got to order the last portion! Hake with coconut sauce, crispy crust and coriander-tomato salsa. Finished lunch with a totally sinfully decadent Peanut butter and chocolate slice with salted lava Ice cream. Home cooked food with a gourmet twist. Almost forgot about the wine! Superb! Thumbs up to Avontuur Estate and Restaurant for ambience, food and wine, service, friendliness and OH, WHAT A VIEW! I took my mom for lunch at Avontuur today as a special treat for mother's day and the wonderful staff at Avontuur restaurant made it very special. The ambiance is out of this world, the staff are friendly, helpful and professional and the food was truly out of this world. 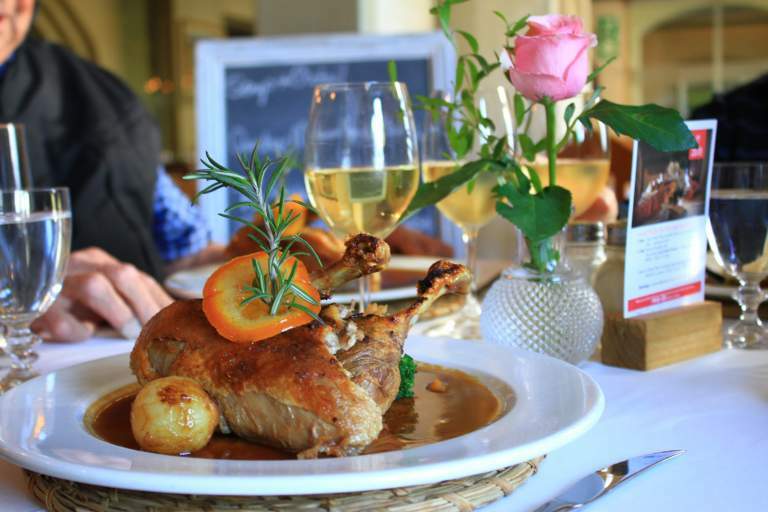 I can recommend Avontuur restaurant with utmost confidence to anyone who is looking for an amazing setting, wonderful people and decadent food. Thanks Zunia, Melanie & team!